You may have not noticed – and this month there are plenty of good reasons why – but there is a massive campaign to ‘orange the world’ going on right now. 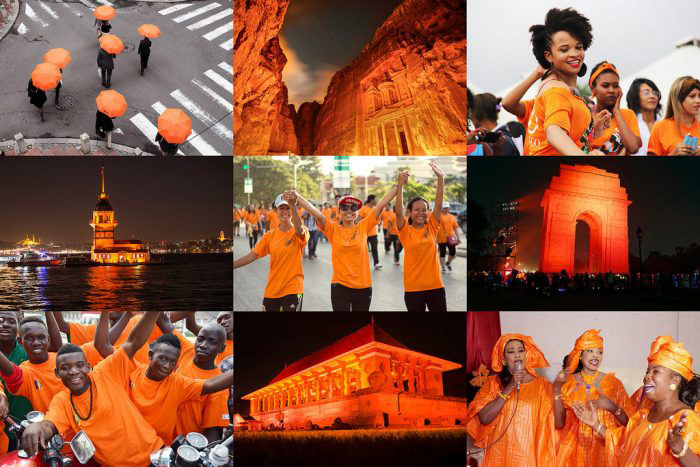 Every year from 25 November, the International Day for the Elimination of Violence against Women, to 10 December, Human Rights Day, the UN organises sixteen days of worldwide activism against gender-based violence, symbolised by the colour orange. Orange hats, orange t-shirts, orange banners, orange-lit monuments – you name it. As if sixteen days were not enough to draw the world’s attention to the problem, every 25th day of each and every month has been proclaimed ‘Orange Day’, dedicated to ending gender-based violence. In UN calendar terms, this frequency is exceptional, alerting us to an exceptional challenge. 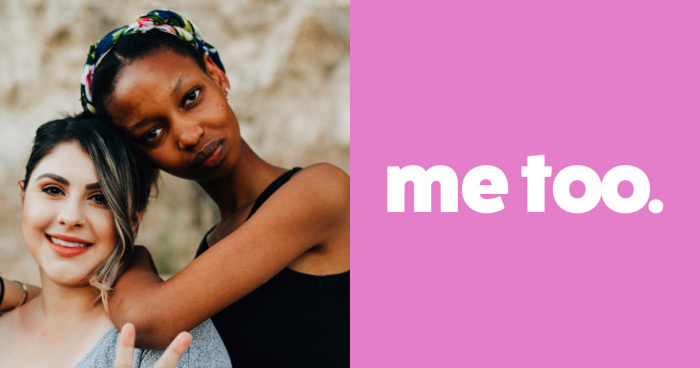 Today, one in three women worldwide have experienced physical or sexual violence, usually by an intimate partner. Up to seventy per cent of women will experience a similar form of violence in their lifetime. Misogyny and sexism have unfortunately become trendy words even in unusual places in recent weeks. Voices from developing countries that have been affected by conflict draw an even gloomier picture of gender-based violence (and I wrote about it here), yet new approaches are starting to show that women can break this vicious cycle through deeper awareness of their rights and active participation in public life. This is what a recent study by the Overseas Development Institute, a London-based think tank, found out when it looked at a couple of community projects carried out by the non-governmental organisation CARE International in Rwanda, a country where up to half a million women were raped during the 1994 genocide. CARE used community scorecards to assess the quality of public services to gender-based violence (or GBV) survivors, for example medical and psychological care. In practice, the community had the opportunity to access information about how much public money had been allocated to GBV services and how much had actually been received at local level. Citizens then scored the services provided with those resources; service providers were also asked for their opinion. A number of meetings followed with both groups to discuss the scores and with decision-makers to ensure recommendations would be taken into account. Apart from the immediate benefits of this process – ranging from better relations between service users and service providers to improved delivery of GBV services –, ODI learned that using scorecards allowed women in particular to make their voices heard. First, women had a concrete opportunity to express their views and influence decision-makers on a specific topic, possibly for the first time in their lives. Second, in many cases they could speak their mind in anonymity or in separate groups, which encouraged them to discuss sensitive issues like GBV more openly. Third, the women who acted as ‘scorecards facilitators’ in particular learned to interact with local authorities, negotiate higher budget allocations and grow in their role as legitimate community representatives. Gradually, this process built their self-confidence, as well as respect and credibility from local authorities and community leaders. As a result, since the scorecards exercise, monitoring public services to GBV survivors has both increased in frequency and improved in quality in the two Rwandan communities where the exercise had taken place, leading to better decisions at local level. Probably, none of this would have happened if the broader context had not supported a stronger stance against gender-based violence. In the last decade, the Rwandan government has recognised GBV as a national threat on multiple levels because it reinforces entrenched social inequalities and requires considerable resources to address. Indeed, GBV is not just about sexual violence but a phenomenon with social, economic, physical and psychological traits and consequences. We could definitely learn from Rwanda’s approach to gender-based violence and gender issues in general. Let’s not forget Rwanda ranks first in the world when it comes to women’s representation in parliament, with over 63% of Lower House representatives being female. Just to put things in perspective, Italy is at number 42, France at 62, and the United States at 99. Social accountability projects like CARE’s scorecards exercise prove that voicing women’s views can make a big difference, not just in the quality of the public services provided to GBV survivors but in the way women are perceived in their society. We all have a good reason to wear something orange in the next couple of weeks – and beyond.